This is a post by Dr. Saiprasad Gundeti, Chief Embrologist, Malpani Infertility Clinic Pvt. Ltd. Most patients who use donor eggs expect to get good quality embryos. After all, if the egg donor is young and fertile, and since embryo quality depends upon egg quality, then shouldn't embryo quality also be great in all donor egg IVF cycles ? Yes, this is a perfectly reasonable expectation, and this is exactly the advice we give our patients. For the vast majority, the embryo quality in a donor egg IVF cycle is excellent. However, real life can be messy, and there are always exceptions to the rule. When the embryo quality in a donor egg IVF cycle is poor, this can be an unexpected rude blow, and patients feel upset and angry. Recently we had a patient who had a very low AMH Level of 0.01. 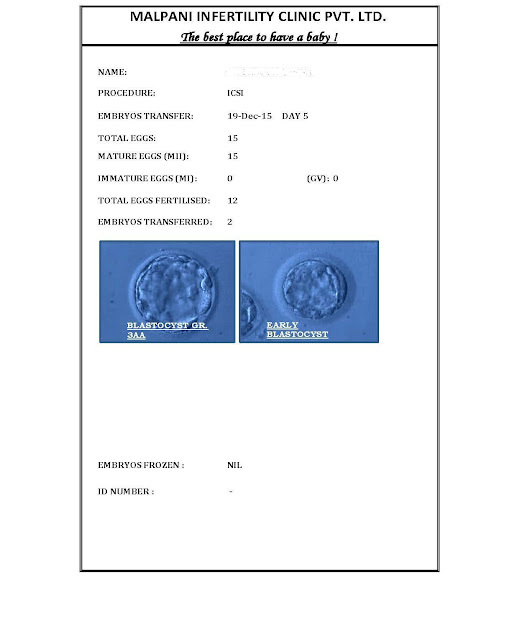 As such a low AMH level indicates that ovarian reserve is very poor, they were advised to do Donor Egg IVF. Since her husband’s Sperm sample was pretty good, with normal Sperm Count and Motility , we advised her that this would be their best option to conceive. We froze her Husband’s Sperm Sample and a Fertile Egg donor with good AMH level was selected for them. The Egg donor was superovulated, and she responded well . She produced 15 Eggs, for which we did ICSI. The Egg fertilization rate was very good , as expected, and 12 of the 15 Eggs fertilized. The Embryos grew well till day 3, as 8 out of 12 had become 8-cell Embryos, which were grade A. However, much to our dismay, most of them stopped growing after that and eventually only 2 of them had become Blastocysts on day 5. We transferred them but the patient didn’t get pregnant. We weren't sure why this happened, and we couldn't really give her a very good explanation. They felt that it would make sense to try again with a different egg donor, and we did so, to see if this would make a difference to the blastocyst quality. This second donor also responded well and this time we got 16 Eggs, for which we did ICSI. 12 out of these 16 Eggs had fertilized. The Embryos looked great until Day 3 , at which point most of them suddenly stopped growing , and eventually only 2 of them became blastocysts on day 5. This seemed to be a replay of the first cycle, and we had a sense of deja vu ! We transferred the 2 blastocysts, but to everyone's disappointment, the patient didn’t get Pregnant. 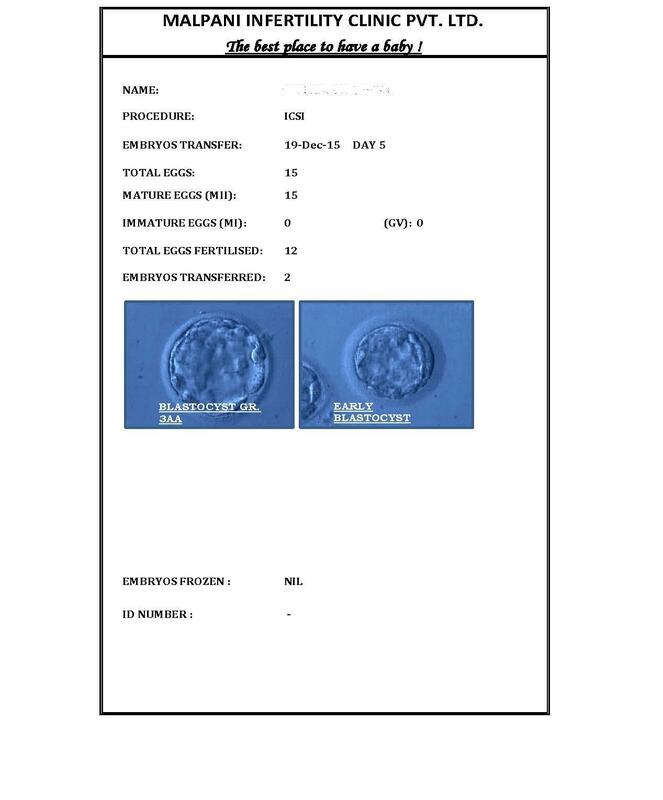 We analysed both the failed donor egg IVF cycles, and the fact that of 24 embryos , only 4 had become blastocysts , suggested that there was an additional problem we needed to consider. 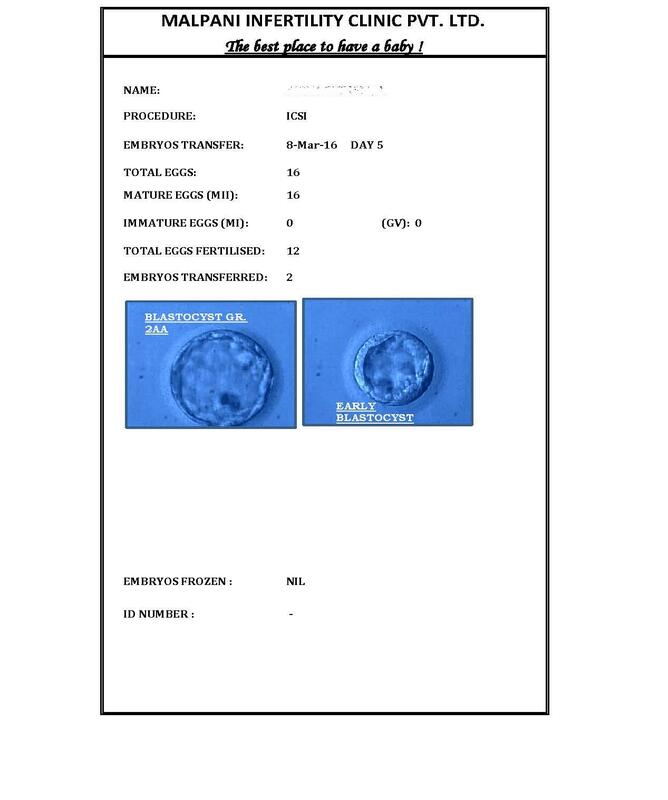 Under normal circumstances , in our lab, of 24 Day -3 high quality Embryos , we would expect to get at least 8 good quality blastocysts. We concluded that the most likely reason for this unusual problem was because of a potential sperm problem, where because of the late Paternal Effect , the sperm DNA was not able to support embryo growth after Day 3. Fortunately, they were a mature educated well-informed couple,who were able to understand the technical niceties of our explanation. The fact that we were transparent and openly shared information with them increased their confidence that they were getting the best medical care, and they are now thinking about whether they should get a sperm DNA fragmentation test; and then consider embryo adoption.